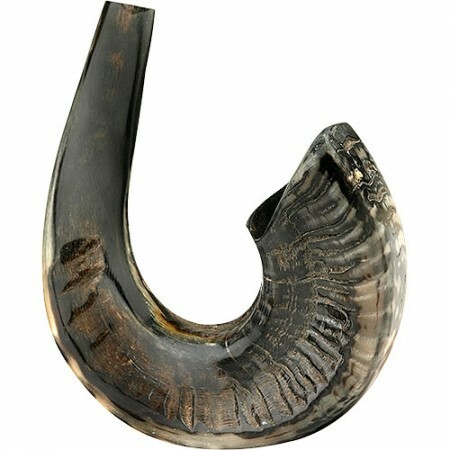 A beautiful half polished black ram's horn shofar. 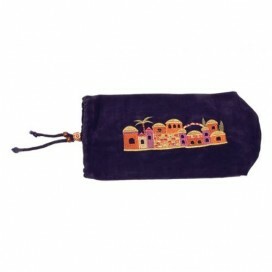 Each shofar is tested to assure clean sound and is 100% kosher. The sizes are measured along the outer edge of the horn, not from tip to tip. Start from size 9-10 inches and up. These horns are natural and as such grain pattern and color may vary. 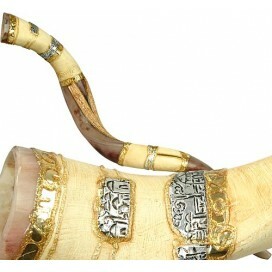 A beautiful half polished black ram's horn shofar. Each shofar is tested to assure clean sound and is 100% kosher. The sizes are measured along the outer edge of the horn, not from tip to tip. Start from size 10-12 inches and up.